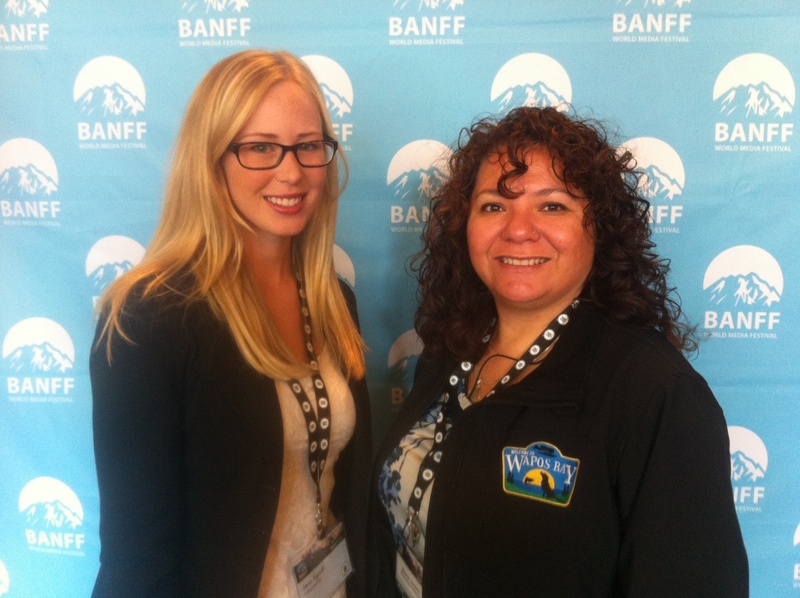 Jenn Egroff, Director of Accounts & Marketing, was excited to represent CollegeMobile at the 2012 Banff World Media Festival this past week, alongside Melanie Jackson, Producer of Wapos Bay. 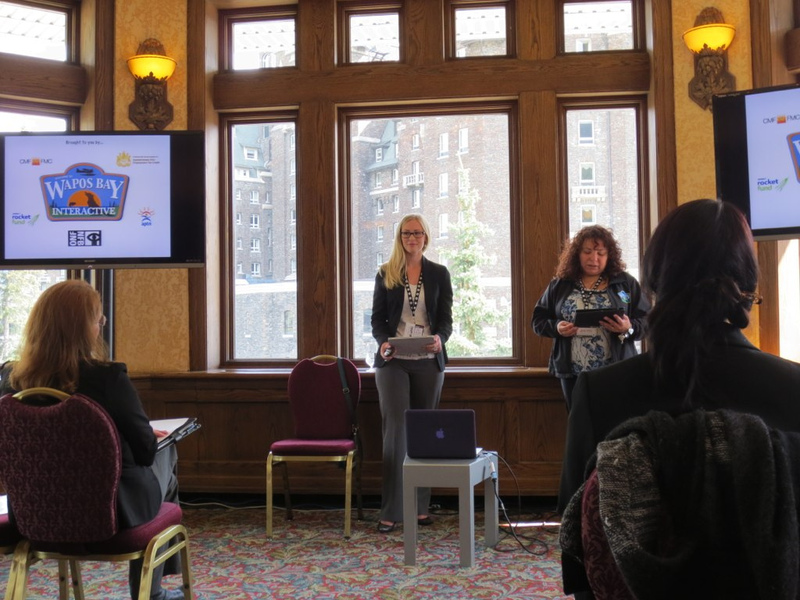 In March, Melanie and I pitched the Wapos Bay Interactive iPad app at the 2012 Saskatchewan Media and Production Industry Association (SMPIA) Multi-PlatFORUM in Regina. We were one of four Saskatchewan-based teams that had the opportunity to pitch their interactive projects in front of a live audience and media judges. The judging panel consisted of Norm Bolen, President and CEO of the Canadian Media Production Association; Sasha Boersma, Business Analyst & Producer of bewareoftheleopard; and Zach Feldberg, Manager, Dramatics and Factual Digital Media, Shaw Media. Needless to say, Melanie and I won the SMPIA-sponsored, all-expenses-paid trip to the Banff World Media Festival to pitch the app for potential investors and conference attendees! The Festival was held at the beautiful Fairmont Banff Springs Hotel and conference centre, nestled amongst majestic Rockie Mountains. Our pitch was first thing Monday morning and we had a great group of people who were interested in the cool projects that are being developed within the province of Saskatchewan. I look forward to collaborating with the producers that I met from around the world who are interested in developing interactive smartphone and tablet apps for their audience members. Thanks again to SMPIA for this great opportunity! Download the Wapos Bay Interactive iPad app now at the special launch fee of $1.99.